The second, but no the latest member of the 8 Series family – the convertible – was just reviewed by us last week while in Portugal, but today, we would like to give you another look at the beautiful cabriolet through a series of new videos (Subscribe now to BMWBLOG channel http://bit.ly/bmwblog_subscribe). 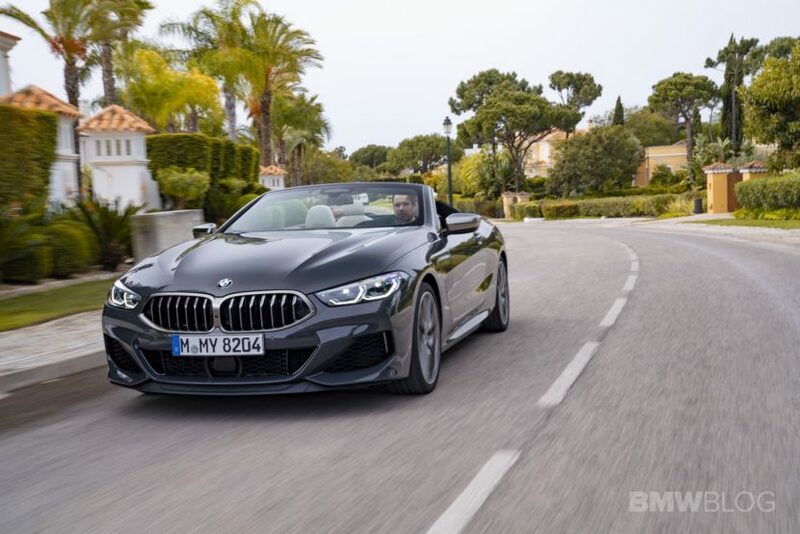 The footage below shows the BMW M850 xDrive Convertible highlighting its design features, both exterior and interior, while taking us for a ride as well. 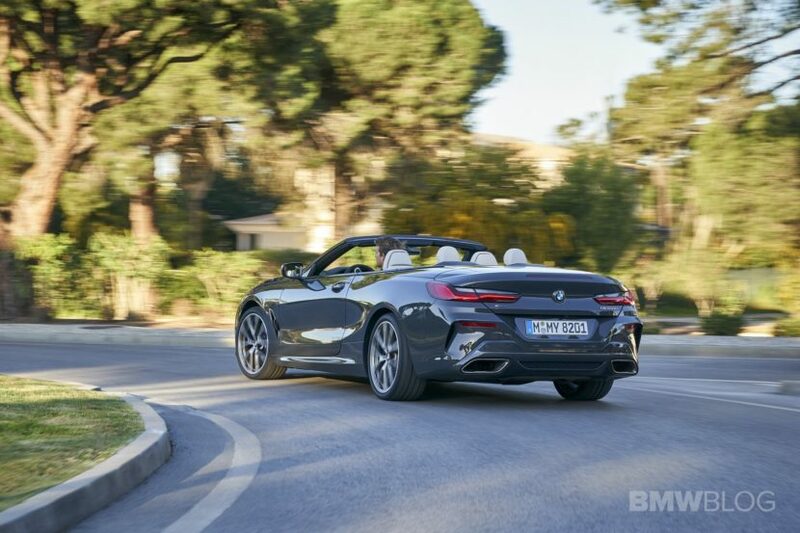 In the US the drop top model will only be offered in M850i xDrive guise at first. An additional 840i will be on offer later on but for now, we’ll focus on the M Performance model, which is actually the one you want, with a powerful V8 under the hood. So it’s packing a 4.4 liter twin-turbocharged with 530 hp and 553 lb-ft of torque. That helps it get from 0-60 mph in the high three-second range. An eight-speed auto is standard, as is xDrive all-wheel drive. The pricing for this beauty will start at $122,395 including the destination and handling tax. That’s a cool $9,500 more than the Coupe alternative, in case you were wondering. The first models will be arriving at dealers in March 2019 but until then, it would be a good idea to take a look at how the competition stacks up. The first competitor that comes to mind is the S560 Cabriolet, of course. The 463 HP drop top from Mercedes-Benz starts at $133,300 and comes with a V8 as well. Therefore, the M850i comes with more power, better performance (3.9 seconds vs 4.5 seconds) and a lower price tag. Then there’s also the Aston Martin Vanquish S Volante which starts at just under $200,000.